In this week's Monday Briefing, MEI experts Eran Etzion, Gerald Feierstein, and Robert S. Ford provide analysis on recent and upcoming events including Israeli PM Netanyahu's upcoming trip to Moscow, Saudi FM Adel al-Jubeir's upcoming visit to Cairo, and the developing agenda for the Geneva 4 Syria peace talks. 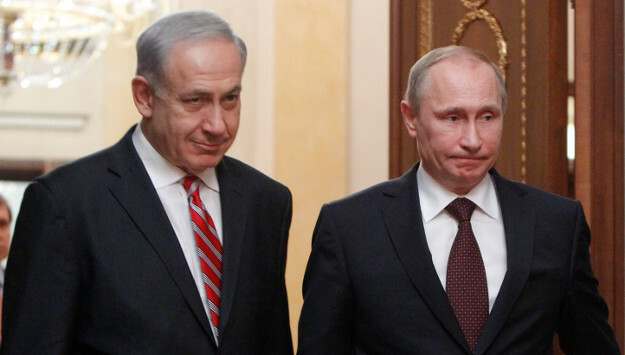 In his third meeting with Russian President Vladimir Putin within the last 12 months, Israeli Prime Minister Benjamin Netanyahu is this week expected to focus once again on the Iranian issue. While the agenda is nothing new, the political context is. This is the Trump era, whom Netanyahu has already met and will meet again later this month, after another state visit to China. Beyond the clear effort to nourish his domestic image as a global leader, and divert the national discourse away from the series of ongoing criminal investigations, there is also a policy agenda. At this juncture, Israel realizes that its near-term strategic landscape will be shaped by the developments in U.S.-Russia relations. True to form, Israel is trying to influence the Trump-Putin force field from both ends, while not neglecting the third global polar in Beijing. Netanyahu’s experience and Israel’s strong regional presence can be leveraged to some extent, but given the real interests of the three global powers, it is hard to see a shift on Netanyahu’s stated number one priority—Iran. Putin will not even entertain any notion of revisiting the nuclear agreement, and he is focused on major arms and energy deals with Tehran. Netanyahu is trying to reframe the discussion on Iran with a focus on its influence in Syria, going almost as far as drawing a ‘red line’—no Iranian presence in a post-agreement Syria. Russia has already dismissed the idea, but Israel will continue to push it in the coming months. Will Saudi FM’s Visit to Egypt Revive Relationship? Saudi Foreign Minister Adel al-Jubeir is due to visit Cairo later this week, according to press reports. The visit is the latest effort by the two parties to revive a relationship that has been strained over disagreements concerning the return of two Red Sea islands claimed by the Saudis, but under the effective control of Egypt, as well as differences over Syria. Both sides appear to be motivated by a desire to clear away their bilateral underbrush ahead of a planned Arab League summit in Amman scheduled for the end of March. Despite the mutual interest in repairing damage in advance of the Amman summit, it’s not at all clear that Jubeir’s visit can bring the bilateral rift to a close. While the immediate causes of Saudi-Egyptian friction can be addressed through creative diplomacy, their bilateral differences, in fact, stem from their competition for leadership of the Sunni Arab world. For an Egypt that has been accustomed to unchallenged dominance for generations, accommodating the upstart Saudis (and their Gulf Arab partners) requires an uncomfortable recognition that a new generation of Saudi leaders will no longer be satisfied with being the silent partner whose checkbook underwrites Egypt’s economy as well as its foreign policy. The Saudis, for their part, will need to recognize that their financial strength, alone, is insufficient to unify the Arabs and stabilize the region without cooperation from a strong, capable Egypt. Indeed, a global interest in seeing positive movement toward a more stable, secure Middle East depends on the resurrection of cooperative Egyptian-Saudi relations. Jubeir’s visit this week will shed light on the question of whether the two parties are prepared to make the compromises needed to achieve that goal. The latest U.N.-sponsored talks on peace in Syria ended last week, and U.N. officials hope that the Geneva 4 talks will resume around March 23. In the meantime, talks are likely to be held in Astana next week to focus on the security situation and develop a monitoring system to reinforce a ‘cease-fire’ in which dozens are still killed daily. There is a developing agenda that expects concessions from the opposition and Syrian government. At Geneva 2 in 2014, the Syrian government rejected talks about the political situation; it would only discuss “fighting terrorism.” When Russia declined to pressure the Syrian government, Geneva 2 collapsed. At the first round of Geneva 4 last week, however, Russia pressured the Syrian government to accept parallel talks on both political and security issues. The opposition delegation is divided, even about discussing security issues at Geneva, and the pressure on it after rebel defeats on the battlefield will grow. The Syrian and Russian governments seek to merge soft opposition elements into the opposition delegation. Gone from the latest U.N. agenda proposal is direct mention of a political transition, instead focusing on “governance” as well as the constitution and elections. The agenda resembles what Iran and Russia have advocated for years. Additionally, the U.N. is now pushing for local autonomy or decentralization of the Syrian state, a theme much favored by Russia and previously rejected by both the Syrian government and opposition factions. Geneva 4 will be a hugely tough slog, and there remain major disagreements between Russia, Iran, and Turkey, not to mention between the warring Syrian parties. U.N. special envoy Staffan De Mistura’s greatest challenge is maintaining enough momentum to keep the bicycle of talks moving forward.